 Whether you're looking to define your web strategy or to hone your communications, rebuild your site or add a portal, the team here at Snake Hill is ready! Armed with years of experience and Open Source tools, we take complex requirements and create effective solutions, no, we craft experiences. Websites bring together marketing and operations. An effective web strategy relies on a clear message, understanding target audience, and well defined goals. An effective strategy encompases ALL of an organization’s Internet assets, synchronized to achieve success. The web presents many challenges for designers. Endless screen sizes and information overload demand a clear information hierarchy and providing strong visual cues to help users get the information they need. Good design puts users first while clearly communicating brand and message. We design for today. Developing for the web demands staying on top of the latest technologies. Development processes (DevOps) need to constantly improve. What we build needs to scale. Code needs to be well written and organized to ensure maintainability. There’s no substitute for experience to guarantee quality. We work hard to be Drupal experts. Search Engine Optimization (SEO) starts with a well structured website and depends on quality content effectively distributed through multiple channels. Regular monitoring of analytics, user behavior fuels continuous data driven improvements that get your message to your target audience. We give users the tools they need to manage their website and leverage data. Powerful content management tools like Drupal allow users to stay on message and keep content up to date. A modular architecture provides advanced functionality like eCommerce. Clear documentation and in-depth training empowers users, minimizing effort and maximizing the value. After launching your new site we have your back. Our service level agreements are comprehensive and flexible to address ongoing needs. We’re a proactive technology partner providing site monitoring, timely security patches, and continuous improvements to ensure performance. The National Association of Sewer Service Companies sets the standards in their industry and certifies trainers who run classes throughout the country. Municipalities and local governments require these certifications for maintaining sewer infrastructure throughout North America. Snake Hill built a system with membership management, class registration, tools for trainers, LMS integration, and role based dashboards. CGS had a wealth of content spread across two outdated websites and YouTube. The majority of their audience was going to the main site which consisted of aggregated news articles from outside sources. Meanwhile, on the blog they were publishing in-depth articles that were not getting noticed. Snake Hill worked with CGS to address web strategy, utilizing assets and highlighting internal content, resulting in a sharp new site. Drupal is great for on-line communities. The Maryland Business Round Table (MBRT) created STEMnet to bring STEM specialists and Maryland educators together in the classroom. Snake Hill transformed their site into a truly social platform.